We’ve covered the American League teams and where you can find value starting pitching so it only makes sense to do the National League too. 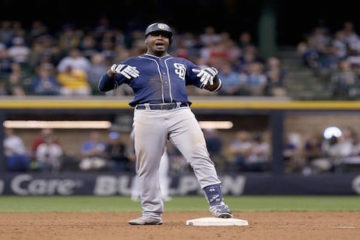 If you missed the American League piece, read it afterwards. But so you know what we’re doing here, it’s merely a look at who has the best chance to offer value when compared with their ADP. The de-facto ace of the Braves’ rotation, the last 5 years have been a real mixed bag for Teheran. Three great seasons and two poor seasons, there doesn’t appear to be much middle ground for the 27-year old. 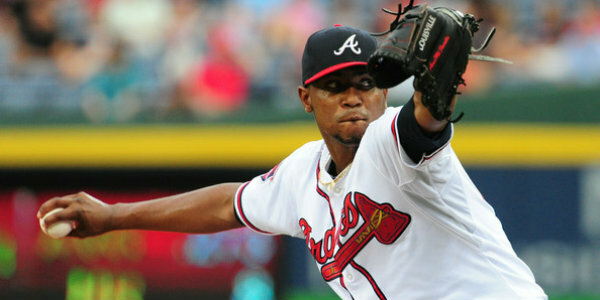 Until the Braves young arms make the step up to the Bigs, Teheran needs to be their ace and coming off his worst season in the Majors, his price is at an all-time low. I can’t really back drafting any Marlins pitcher and before he was optioned back to the minors, Dillon Peters intrigued a bit. But from what’s left, Sandy Alcantara could be an undrafted guy who has fantasy value. Moving from the Cardinals in the Ozuna trade, Alcantara is a well-regarded prospect and has pitched well in Spring. Worth at least monitoring. While all around him got hurt, DeGrom was the only constant of the much-fancied Mets’ rotation in 2017, despite a career high 3.53 ERA. 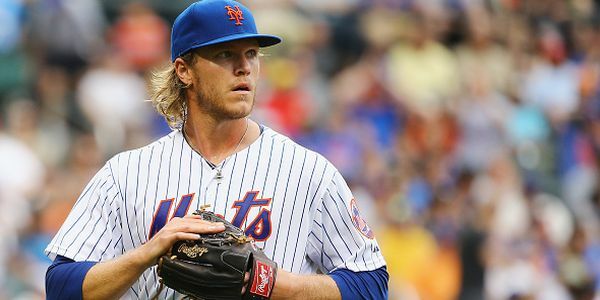 He was better than his ERA suggests and going as the Mets’ second starter in drafts, he should finish the season as their best fantasy pitcher, if not the best in the National League. However much I love Aaron Nola, he’s being drafted pretty much where he should be. So for value, Vince Velasquez represents the best chance in Philadelphia. All but confirmed as a rotation member, Velasquez took a step back in 2017 after a mini breakout in 2016. Nagging injuries contributed to his poor season so good health offers a chance to get back to fantasy relevance. It’s hard to find much value in the Nationals’ rotation. Two aces going as aces. A solid third option followed by some meh. Scherzer could easily end up as the best overall player in fantasy this year though and is well worth his first round ADP. Chatwood will be the Cubs’ fifth starter but represents a great value option. Now able to call somewhere other than Coors Field his home, Chatwood’s groundball skills will be even better with the Cub’s infield behind him and if he is able to stay healthy (a problem for him), Chatwood can easily become an unheralded hero in the Windy City. Luis Castillo is having all the value drafted out of him leaving another young prospect to garner attention. Mahle had a stunning minor league campaign in 2017 and carried that momentum into his four impressive Major League starts. Great control offsets his limited strikeouts and poor offensive support but Mahle has certainly got enough upside to be a fantasy asset. The Brewers lack a true ace but Anderson is pretty close to one. 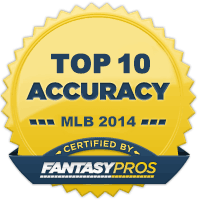 Last year, he was a top-20 fantasy starter despite starting only 25 games; yet is being drafted as an SP5 right now. Even if he does take a step back this year, Anderson will still have a shot at being an SP3. The gloss seems to have disappeared off Taillon. Having overcome TJS, Taillon made a great start to 2017 before needing to take time away for cancer treatment. Thankfully now recovered, Taillon is the best starting option in Pittsburgh and there’s plenty of reason to be optimistic he can step into the role. Barely an SP5 in drafts seems pretty ludicrous given his talent. Martinez suffered with bad luck and poor run support in the second half, which is good for this year as his price has dropped a tad. He’s set a high floor with his strikeout numbers and consistently good ERA while still seeming to have more upside. Should you wait on pitching or miss one of the top starters, Martinez offers value as a potential SP1. All the talk this Spring has been about the Humidor and Zack Greinke. Robbie Ray and Zack Godley are being drafted like the humidor is going to be a big help, yet that doesn’t extend to Walker. The humidor should help with grip so a step forward with his control means just good health is all that’s needed to move up into the SP4 reckoning. It’s hard to find value from a pitcher who calls Coors Field home, but the Rockies’ best starter is also the best route to value. 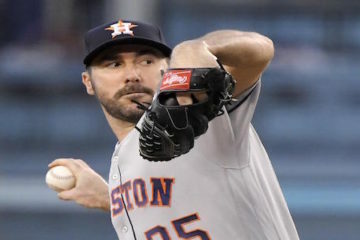 His health prohibited him from getting much attention for his 2017 season (3.67 ERA and 9.14 K/9). But his injury was a stress fracture in his foot so not something which carries long-term concern heading into 2018. A repeat of 2017 numbers over 30 starts will give SP3 value. Extrapolating value from any Dodgers’ pitcher is hard given how many innings they pitch. But considering how they’re being drafted, Ryu has a good shout at offering the best value. Wood and Hill are unlikely to pitch 140 innings, whilst Maeda and Ryu might barely reach that number either. Ryu being drafted as the last of that lot offers the biggest discount. 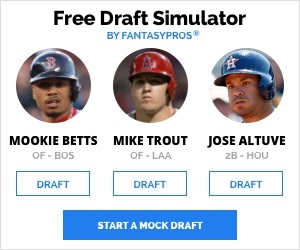 When I saw ESPN ranking Lamet outside their top 300, I got excited. Sadly, people are catching on to Lamet’s upside and he’s featuring prominently as a later round option. If he can continue his 2017 in-season improvements against lefties, Lamet has enough strikeouts to set a solid floor, or even mark his card as and SP5. If you read my American League piece, you’ll recall how I valued Ervin Santana and Mike Leake as solidifiers if you chased upside early. Samardzija is the same, but better. A workhorse who tosses 200 innings every year, last year also saw a return to 200 K’s. Samardzjia’s xERA suggests he was also unlucky so banking on staying in the 200 club with a sub-4 ERA will offer better value than his ADP.